May continues to trudge forward on Brexit. UK Prime Minister Theresa May faced heightened tensions between factions within her own Conservative Party last week on issues pertaining to Brexit. May was forced to accept changes to the Brexit plan calling for stricter customs arrangements. In response, pro-European Conservatives put forward a vote to keep the UK in the European Union (EU) customs union. This measure failed to pass in a close vote, allowing May to continue to move forward with her Brexit plan. Elsewhere in Europe, inflation data for Europe was generally in-line with expectations and prior levels. Headline inflation sits at 2.0% year-over-year (y/y), while core inflation ticked down from the prior level to 0.9% y/y. Large tech companies take center stage with earnings releases. Large technology companies will be reporting earnings throughout the week including Alphabet (GOOGL), Facebook (FB), Intel (INTC) and Amazon (AMZN). Additional companies reporting this week include Lockheed Martin (LMT), McDonald’s (MCD), and Starbucks (SBUX). Modest softening expected in flash PMI data. Flash manufacturing Purchasing Managers’ Index (PMI) data will be released early this week. The U.S. is expected to remain ahead of Europe after trailing throughout early 2018. However, both regions are expected to move modestly lower from prior levels. Consensus expectations show the U.S. flash reading dropping from 55.4 to 55.1 and the Europe figure moving down from 54.9 to 54.7. Investors will be looking at the flash PMI data to confirm that the global growth outlook is not significantly deteriorating due to rising trade tensions. Overall, all the major regions are expected to remain in expansionary territory (above 50). ECB expected to remain on track to end stimulus program. 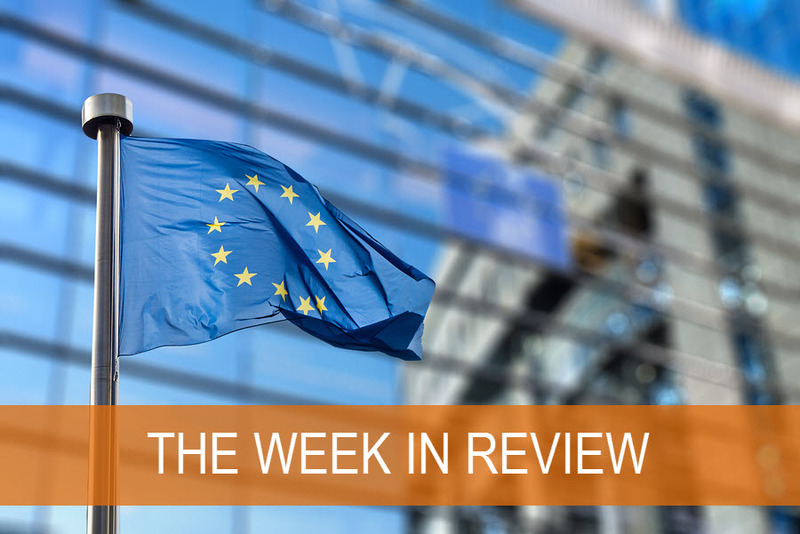 The July meeting for the European Central Bank (ECB) takes place this Thursday. Markets are not expecting any kind of policy change, though will be paying close attention to ECB President Mario Draghi’s assessment of Europe’s economy. The ECB has previously announced a plan to end its asset purchase program by the end of 2018, while also communicating that a rate hike will not take place until the second half of 2019 at the earliest.